You've worked hard to build your business. You've created an income for yourself and your family, and created jobs for others. In the process, you've diligently filed and paid your taxes, reported wages to the Social Security Administration, and filed your quarterly reports. Then one day, you receive a letter from the IRS. It's a notice of deficiency, and it demands immediate payment of more than $800,000 in unpaid payroll taxes for more than 100 of your employees. How could that be? Did you somehow make a mistake? Did your accountant fail to file something or abscond with the money? Wait a minute -- You didn't have 100 employees, and you certainly didn't pay more than $4 million in salaries and wages last year. There has to be an error. This is exactly what happened to one seafood franchise owner in Georgia, but it wasn't an error. It was the result of his business being targeted by criminals, and his business EIN being used in a tax refund fraud scheme. Thieves obtained his business EIN and used it in conjunction with tax returns to report more than $4 million in bogus wages to the IRS in order to generate fraudulent tax refunds. Unfortunately, it is not an isolated incident. Hundreds of thousands of businesses nationwide are discovering they have been similarly victimized in what is a growing criminal trend. In September 2013, the Treasury Inspector General for Tax Administration (TIGTA) published an insightful audit report entitled "Stolen and Falsely Obtained Employer Identification Numbers are used to Report False Income and Withholding." TIGTA estimates that the IRS may issue almost $2.3 billion each year in potentially fraudulent tax refunds based on stolen or falsely obtained EINs, and possibly $11.4 billion over the next five years. Although the IRS has processes in place to help confirm that an EIN being used is valid, it is not nearly as efficient in its ability to detect when a legitimate EIN has been stolen and used to report fraudulent wages and withholding. For example, in Tax Year 2011 alone TIGTA identified 767,071 electronically filed individual tax returns with fraudulent refunds based on falsely reported income and withholding. These returns used 285,670 EINs for the reported wages and withholding. 8,046 of the EINs used were falsely obtained, while 277,624 of the EINs used had been stolen from legitimate businesses. When criminals commit tax fraud, they frequently report fictitious wages and withholding in order to generate a fraudulent tax refund. For the scheme to be successful, the wages and withholding they report need to appear to originate from a legitimate business, with a valid EIN, so the return is not rejected. This is where a stolen EIN is used. It doesn't matter if they do not have an actual W-2, or if they have never worked for the business. They can simply use a tax e-file service or software and enter the target business' name, address, and EIN in an online form, submit the fraudulent return, and collect a tidy refund. This can be repeated many times, using stolen or synthetic identity information from multiple persons. The victim business is none the wiser until the IRS and state agencies eventually discover that there is a deficiency in the amount of actual wages and withholding paid, versus the amounts that have been reported on the fraudulent individual tax returns filed. 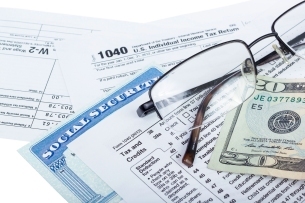 The scams are successful in large part because the IRS may not have access to the employer's reported W-2 information for comparison at the time an individual tax return is processed. 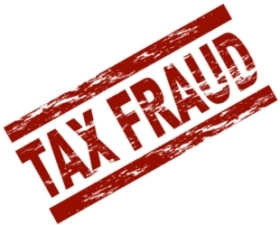 Criminals know this, so they often file their fraudulent returns early in order to receive their fraudulent refunds before the IRS has a chance to complete its matching process. Once the matching process has been completed, the victimized business whose EIN was used receives an unexpected and unpleasant surprise - a notice of deficiency and demand for payment of a tax liability, which can be tens or even hundreds of thousands of dollars, depend upon the extent of the criminals' activities. Suddenly, the business faces the challenge of proving that a fraud has occurred and attempting to absolve itself of a significant tax liability.